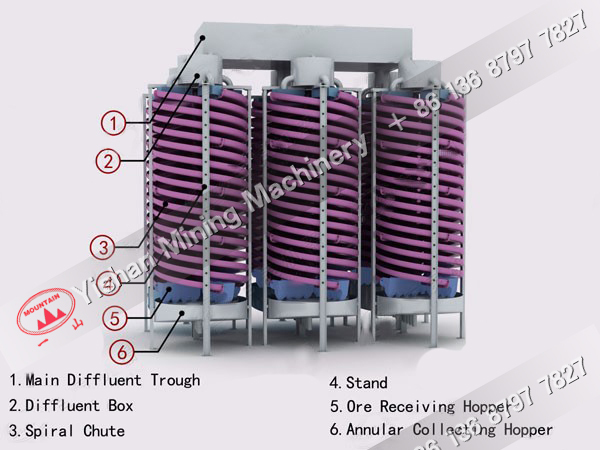 Rotary spiral chute is integrated spiral separator, common spiral chute, shaking table, gold centrifugal concentrator features. 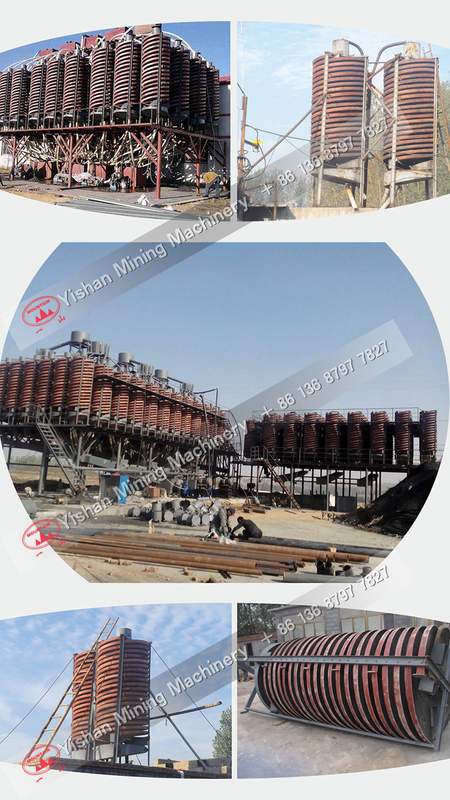 It is the best equipment for mining benefication, particularly ideal for placer mining at the seashore, riverside, sandy beach and brook. 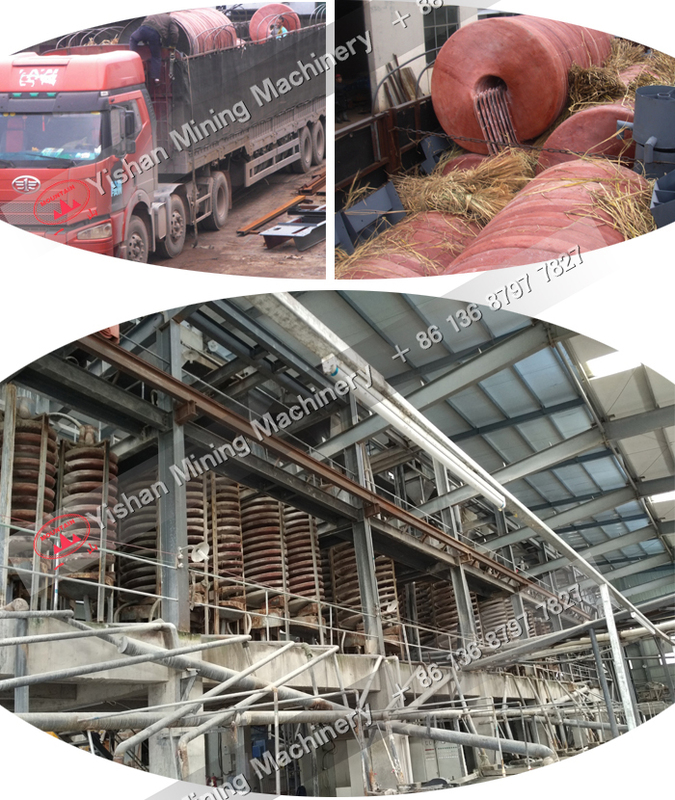 The product has the advantages of reasonable structure, simple installation, covers an area of small, simple operation, stable ore beneficiation, points ore clearly, large processing capacity, high efficiency, high separation enrichment ratio, high recovery rate reliable, operation characteristics.